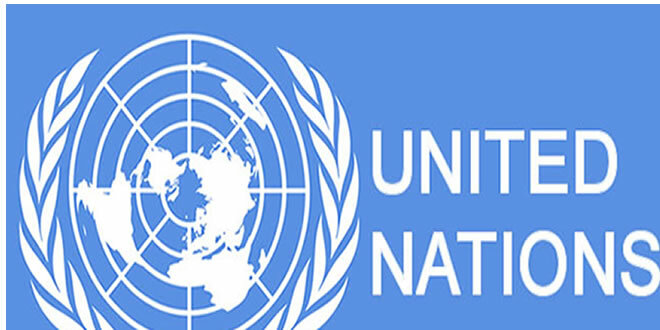 The United Nations Special Rapporteur on the independence of judges and lawyers, Diego Garcia-Sayán, has condemned the suspension of the Chief Justice of Nigeria, Walter Onnoghen, by President Muhammadu Buhari. He described the action as a contravention of international human rights standards on independence of the judiciary and the separation of powers. Onnoghen was suspended on January 25, 2019 and was replaced by Ibrahim Tanko Mohammad, with the President saying he acted in compliance with a Code of Conduct Tribunal order directing him to replace the CJN. Despite the condemnation, the National Judicial Council on Monday issued a fresh query to Onnoghen following a petition sent to it by the Economic and Financial Crimes Commission. But Garcia-Sayan in a statement in Geneva on Monday stated that any decision to suspend or remove a judge from office should be fair and should be taken by an independent authority such as a judicial council or a court. The Rapporteur insisted that the dismissal of judges without following procedures laid down by the law and without effective judicial protection being available to contest the dismissal was incompatible with the independence of the judiciary. The two-term judge of the Inter-American Court of Human Rights said, “International human rights standards provide that judges may be dismissed only on serious grounds of misconduct or incompetence. The former judge said all state institutions must abide by court orders, citing the failure of the CCT to stay proceedings on Onnoghen’s trial as directed by a superior court. Meanwhile, the NJC has issued a fresh query to Onnoghen after its meeting in Abuja on Monday, asking the embattled CJN to respond to the query within seven working says. However, the council according to a statement issued by its Director (Information), Soji Oye, said the NJC would reconvene on Wednesday (tomorrow) because it could not reach any decision on the petitions filed against Onnoghen and the one against the acting CJN, Tanko Muhammad. Oye said, “The National Judicial Council reconvened today (yesterday) in an emergency meeting to consider the responses of Hon. Mr Justice W.S.N. Onnoghen, (GCON), and Hon. Mr Justice I.T. Muhammad, (CFR), to the three petitions written against them. “Members resolved to constitute a Preliminary Complaints Assessment Committee in accordance with Regulation 17 of the National Judicial Council’s Judicial Discipline Regulations, 2017 and report to council on February 13, 2019. “The council will reconvene on Wednesday, February 13, 2019. Council also received a new petition written by the Economic and Financial Crimes Commission against Hon. Mr Justice W.S.N. Onnoghen, (GCON), and forwarded it to him for his response within seven working days.